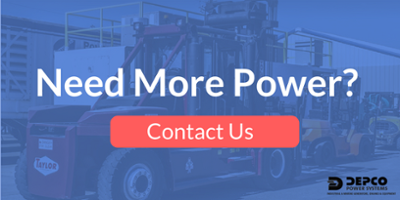 When backup power becomes law, you need a reliable generator and secure fuel storage. The ability to continue generating the electricity may save lives in natural disasters and long-term power outages. The deaths of 12 nursing home residents following Hurricane Irma in 2017 spurred Florida and other states to mandate backup power in preparation for future emergencies. The Miami Herald reports that all nursing homes and large assisted living facilities in Florida are now required to have backup power to maintain air conditioning systems during power outages. Two separate laws passed by the Florida legislature (SB 7028) require that generators must be able to provide at least 30 square feet of cooling for each resident. Facilities with 17 or more beds must have 72 hours of fuel on-location at all times. Smaller facilities are only required to have 48 hours of fuel. Also, nursing homes must have the equipment to maintain an ambient temperature of no more than 81 degrees for at least 96 hours after a power outage. In addition to state regulations, nursing homes and assisted living facilities participating in Medicare and Medicaid programs must comply with federal alternative energy requirements. NFPA 70 and NFPA 110 do not specify the type of backup power but require that the generator can support the operations of the whole building. The operations that must be supported include HVAC, emergency lighting, fire detection, alarm systems, and waste disposal. Backup power laws are not restricted to healthcare facilities. Florida and Louisiana require many gas stations to maintain a backup power source in the event of power failure. The Florida Alternate Power Source Law (Fla. Stat. § 526.143) includes backup power requirements for motor fuel terminals and wholesalers near interstate highways and evacuation route. Most of these stations must be able to continue operations for at least 72 hours in the case of electrical outage. The Louisiana Alternate Energy Source Law requires new and remodeled services stations to maintain low-emission generators that will automatically switch on in case of a utility service interruption. There are several reliable standby generators on the market. Before you begin shopping, calculate how much power you need to generate. Plan for a disaster at the peak of your electricity demands. In the north, this will probably be a cold winter month where heat is essential. Southern facilities need the most power during hot summer days. After you know the demands your generator must meet, you are ready to start your search. Caterpillar generators have provided backup power throughout the healthcare industry for decades. In an emergency, your facility needs a reliable and trusted generator. Cat produces generators, uninterruptible power supply (UPS) systems, and automated switches that meet state and federal requirements for emergency preparedness. The generators are US EPA certified for low-emission standards. Caterpillar C9 generators are a good place to start. You may also want to look rebuilt C15 and C13 models. A used or rebuilt Cummins diesel generator set has a history of reliable service that you can depend on. See our post on 3 Things to Keep in Mind When Purchasing a Used Diesel Generator for guidelines. As long as you know what to look for, you can find a well-built alternative energy system that will fit your budget and comply with state and federal emergency preparedness requirements. Whatever generator you choose, hire certified technicians to install the system and test it frequently. If you are in a geographic area that is regularly threatened by floods, tornadoes, or hurricanes, then schedule maintenance calls just before the appropriate season arrives. This may go beyond the legal requirements for backup power, but a little extra effort may save lives. What do CAT Generators and Hurricanes Have in Common? Caterpillar, Cummins, Detroit Diesel, and all other brand names and logos are trademarks of their respective companies. I am making a purchase for use by my company. Fill out the form to start receiving Email Alerts about the products you are interested in!